When developing a native mobile app for multiple BlackBerry devices, the variety in screen sizes and resolutions makes loading images fairly complex. 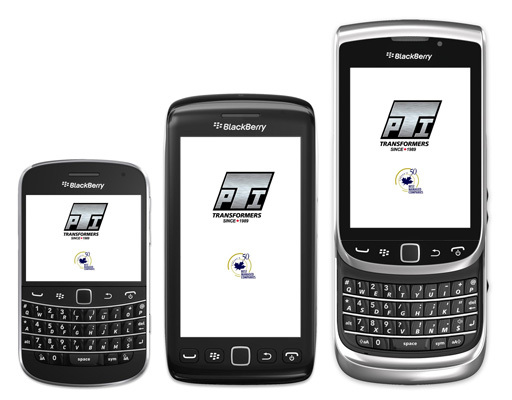 The app must detect the BlackBerry model and screen resolution in advance to determine the correct image to load. Since there are a vast number of BlackBerry models, the coding required for this process can be tediously long and difficult to organize across multiple devices. In 2011, CollegeMobile collaborated with Affinity Credit Union to create an ATM / Branch Locator that also offered mobile banking. During development, one of our BlackBerry developers recognized an opportunity to simplify the BlackBerry image loading process. The opportunity presented itself when Affinity Credit Union originally wanted to support BlackBerry 5 and 6 in their app, but then wanted to add support for BlackBerry 7 later on. Using the same set of code, this was virtually impossible. As such, one of our talented developers created the BlackBerry Image Loader. The BlackBerry Image Loader is a free support library for BlackBerry 5, 6, and 7 that relieves BlackBerry developers from the cumbersome image loading process. “The Image Loader reduces the complexity of the code, especially for UI-related coding,” said one of our BlackBerry devs. All a programmer is required to do is simply put the image file in the appropriate screen resolution folder and call the loading function. The BlackBerry Image Loader then streamlines the process of detecting the BlackBerry model and screen resolution by automatically selecting and returning the Bitmap object of the correct image file. Chad Jones, CEO of CollegeMobile, said, “The BlackBerry Image Loader lets BlackBerry programmers do more in less time, without having to worry about the different screen resolutions.” Not only does the Image Loader make BlackBerry development more efficient, it also “makes it easier to support more screen resolutions,” said one of our BlackBerry devs, because supporting different resolutions doesn’t require any additional development. The BlackBerry Image Loader, courtesy of CollegeMobile, is available free of charge for BlackBerry developers under a modified BSD license. Enjoy!